We offer one of the most competitive rates on the web with #1 customer service and high quality, click-through driven designs. Our banners are priced based on size. Starting from just $20 for buttons to $32.95 for larger standard banners, to $49 for extra large, non-standard sizes, such as web page headers to email creatives. 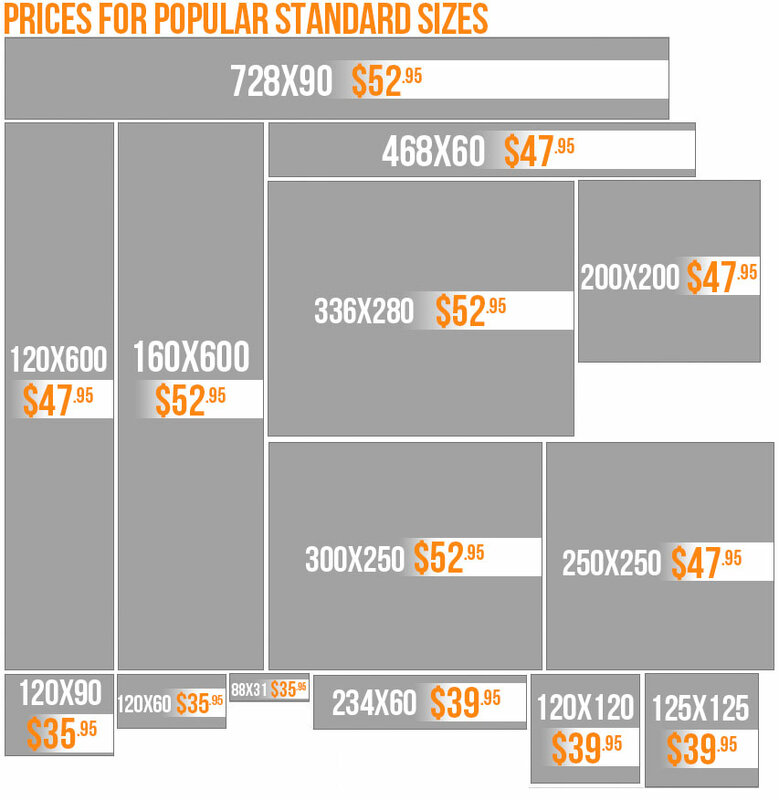 The display below outlines our prices for widely accepted industry standard sizes. If the size you are looking for is not listed, use our instant quote tool to calculate your cost.